Crystal is the perfect alternative to diamonds as it also attracts light and spreads it well to give you a luminous effect. The crystal earrings have been used by women since ages and the vintage patterns are still high in demand. The modern contemporary patterns are also beautiful and are perfect for a celebration or a ceremony. Select your choice of crystal earrings and enhance your wardrobe. Let we have to look best earrings with crystal metal. 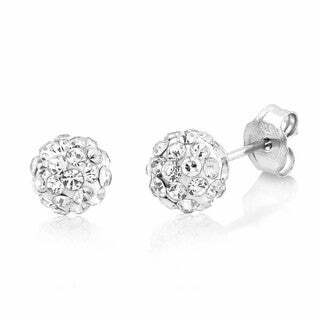 Get this awesome crystal stud earrings for you or your loved ones as a perfect gift. 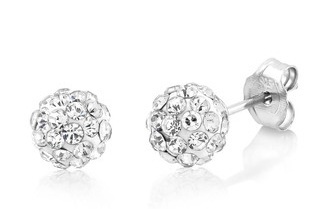 The sterling silver earrings have 6mm round crystals set in a flower pattern. This is perfect for daily use as well as party wear. 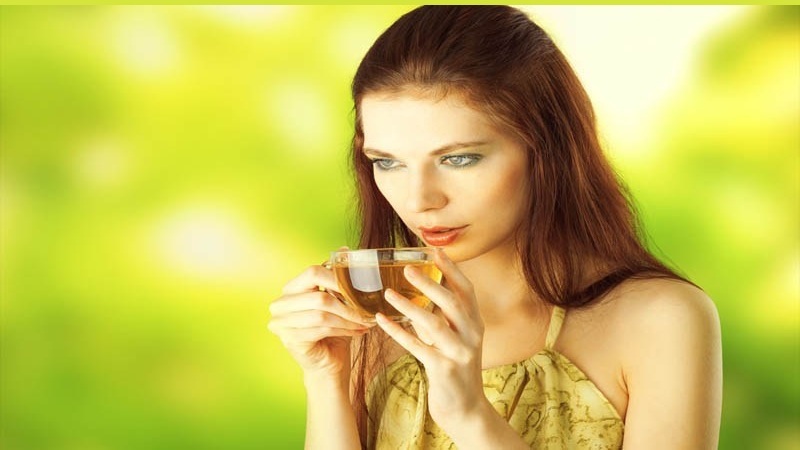 The crystal’s brightness enhances your beauty as well. Choose this high quality pear shaped crystal earrings for that wonderfully royal look. 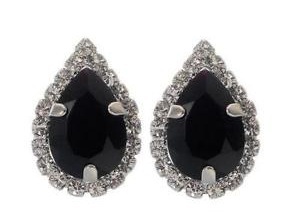 The jet black crystal earring add to your glow and are perfect for a night out. The black crystal is set in silver and tiny diamonds are encrusted around it to give it a stately look. 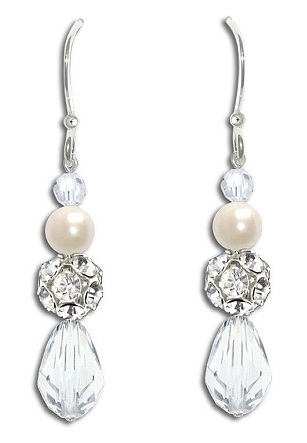 This vintage style earring has wonderful crystals that are paired with pure pearls to give it a statement look. The long earrings are just right for you to be worn for any party. 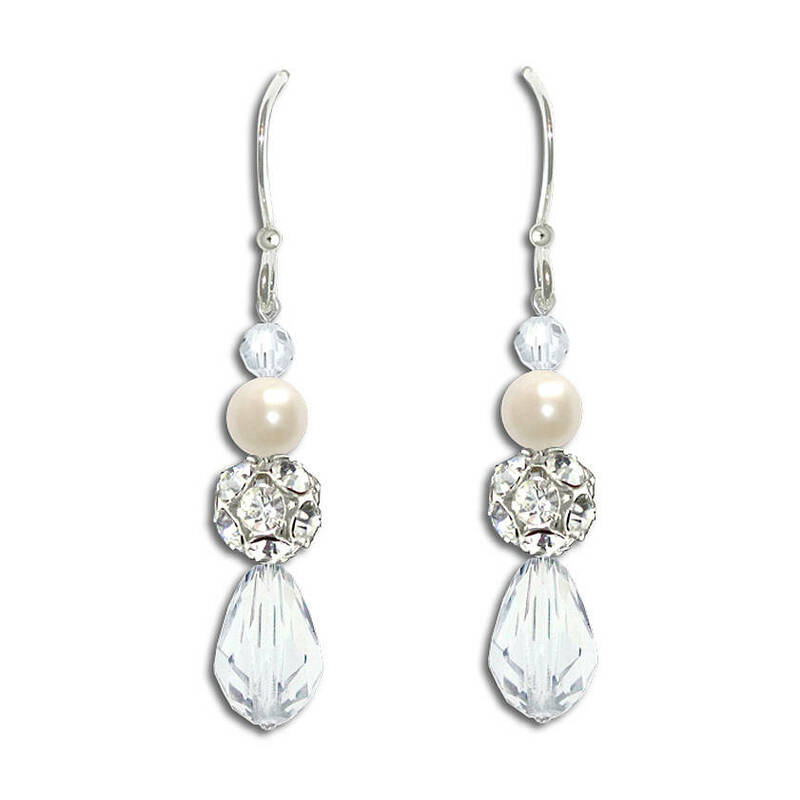 The crystal earrings go well with gowns and dresses as well as traditional wear. 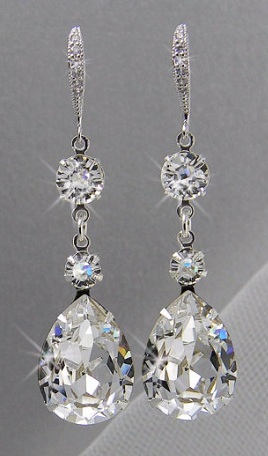 This glistening pair of crystal drop earrings is majestic in look. The earrings consist of three crystals each of different shape and size. 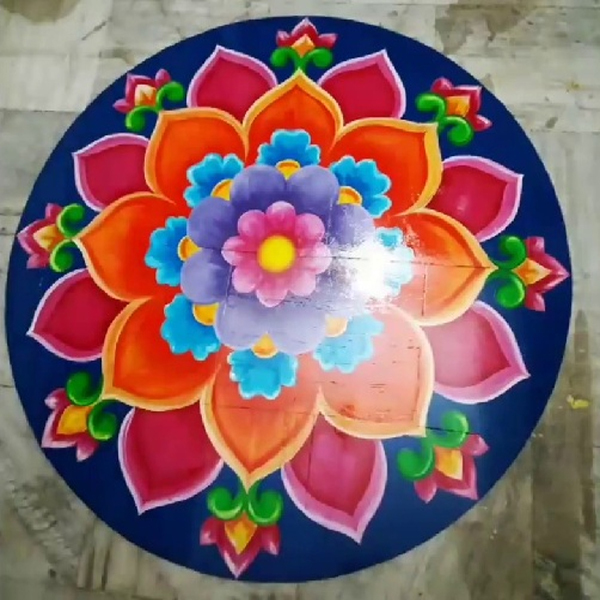 The top most crystal is a perfect round that shines brightly. The middle one is a tiny circle that then joins the third and large tear drop shaped crystal. 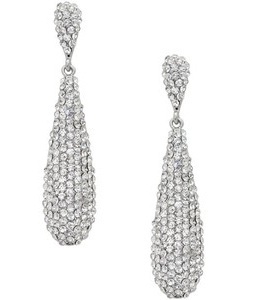 This tear drop crystal is the magnificent ending to the earrings. 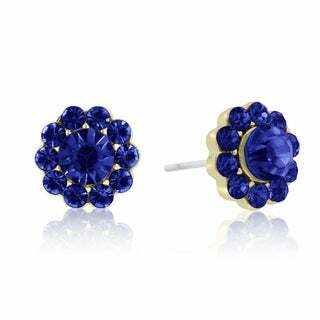 Here you have the perfect blue crystal stud earrings that are set in the form of a flower. Ten tiny blue crystals are set around a large blue crystal in the center. 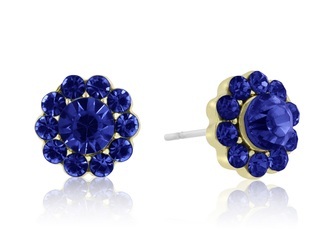 The flower shaped crystal earrings is very royal in look and is best suited to be worn with fancy designer wear. Going for something glamorous? 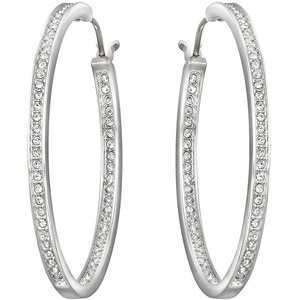 Then check out this gorgeous crystal hoop earrings that are 1.25” in diameter. The hoop is studded with the most striking crystals that are tiny yet make up the whole beautifully. The hoop earring fills your face and makes you sensational. 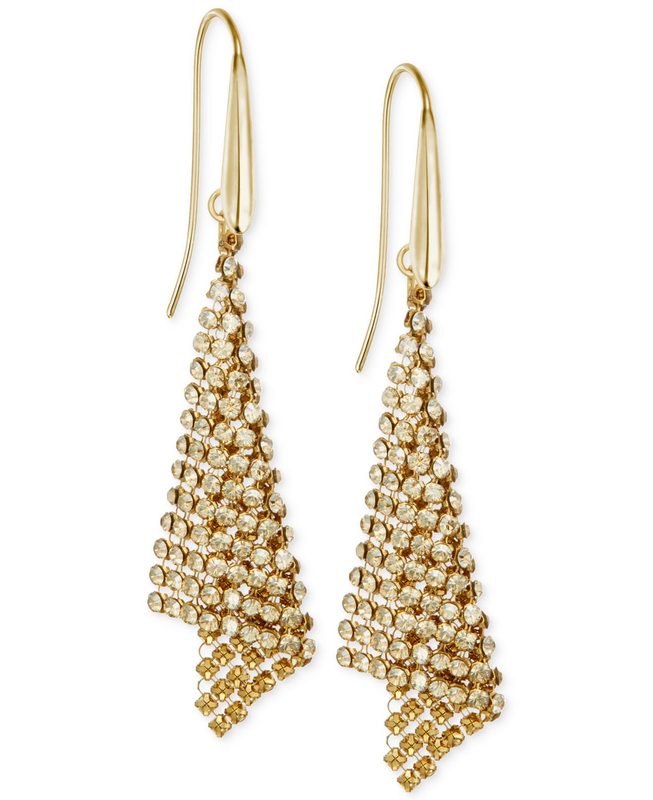 Get this enchanting gold crystal earring in a mesh drop. The mesh is made with gold tone and then filled with tiny crystals. The entire look is very contemporary and suitable for the modern woman. The drop style earring adds length to one’s face too. This is one of the most exciting designs in earrings and is loved by many. 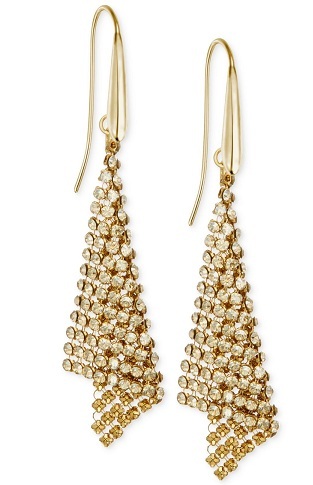 The pave drop earrings are one of the modern designs available in the market. The silver crystal earring in pave drop design is perfect to enhance your style quotient. It makes for a very royal look and is stunning. 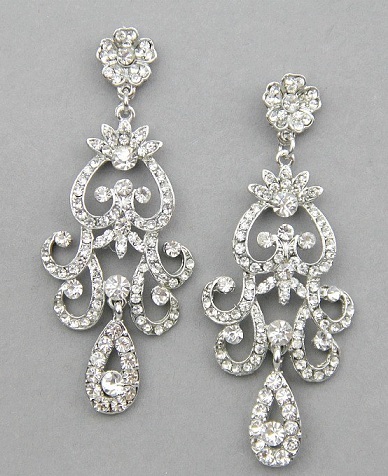 One of the splendid crystal earrings are the crystal chandelier earrings. These earrings are heavy earrings that are long and broad. The name chandelier is used because they look like royal chandeliers. 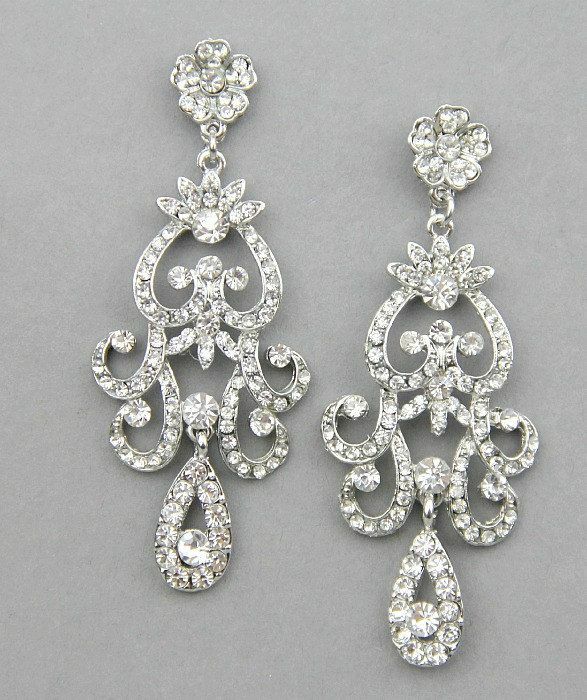 The tiny crystals used in the earrings give an over all stunning look. Crystal earrings are perfect for a party or a special occasion. 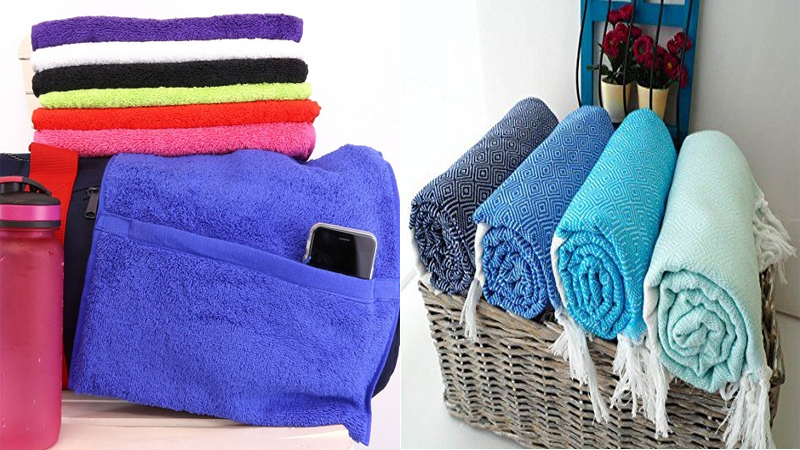 The styles are plenty and you can choose one that suits your occasion. There are crystals that are large in size used in the earrings. Some are tiny and make up a specific pattern.